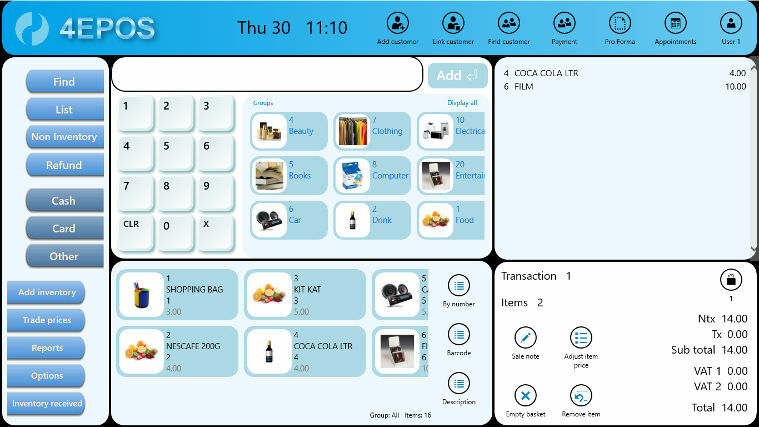 4EPOS is a general Point of sale app for retail outlet sales. Trial the app free and try all the functions. There is no obligation to buy. The app will match the function of more costly traditional desktop applications, and is more sophisticated than other POS apps on the market at this price. No internet connection required, locally stored, commonly used XML database. It supports 1366x768 or higher resolutions. The cost is a single payment with NO on going monthly fees or annual payments. Running length approximately four minutes. Professional looking invoices, receipts and delivery notes, enter store details and any logo just once. Select the currency symbol and tax rates for your location with ease. Individual logon options for up to ten staff with comprehensive activity logs. Built in customer database with access to current balances. Incoming stock (inventory received) quick update facility. 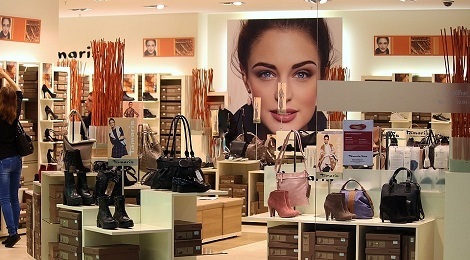 Tailored printouts of both inventory and customers via easy to follow check boxes. Sales summaries and comprehensive logs of all transactions and tax details can be viewed and exported to file (XML). Can import information quickly and easily from an existing database (XML file).